Sauce Labs offers a public Real Device Cloud for customers looking to expedite testing for their mobile apps without compromising quality. Our public and private clouds both support manual and automated testing using Appium and Espresso. 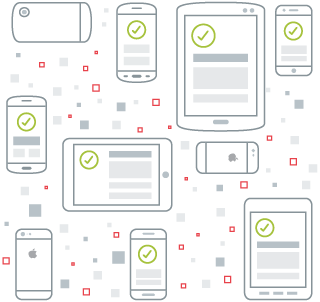 We provide thousands of iOS and Android devices in our public clouds hosted in our US and EU data centers so you can test on devices appropriate for each region. To test on a private device cloud, please contact sales. You can find plans and pricing for our public device cloud here.